Water filtration systems not only improve and maintain the quality of water but also lend it a good taste. However, your responsibility does not end with installing a water filtration system. To keep it working flawlessly and providing constant supply of healthy and fresh water, regular Water filtration systems repair is very important. With time sediments and minerals can accumulate, making the need for Water filtration systems repair even more essential. If you are a Sammamish resident and worried about the quality of water which is being used in your home, then Beacon Plumbing experts can bring back your peace of mind by offering you reliable and timely services. The poor quality of water which you and your family consume every day can affect your health and well being adversely. Not paying attention to this serious issue can have long term repercussions. Therefore investing in good quality Water filtration systems is the right solution for residents in and around Sammamish. Apart from these, we also offer water filtration systems for under the counter installation and also the ones specifically designed for ice maker lines. Make sure to opt for the highest quality system to give your family a healthy life. At Beacon Plumbing, we understand the value of your health and that is why we strive to bring to you only those products which adhere to high quality standards. Opting for Water filtration system installation can ensure that your family is consuming only fresh and good quality water, free from any harmful chemicals and particles. Water filtration system installation can be done according to your convenience and needs. Depending on your requirements our expert technicians can suggest the right size and type of water filtration system that can efficiently cater to your needs. If you want to install or repair a water filtration system or avail other plumbing services, call us at 425-679-9500 and we will make sure to serve you with our finest services. Hot water is a prime need of households and commercial spaces, as it is required to serve a number of purposes. If you are residing in Orting and looking for a solution to serve your need for hot and fresh water, then Tankless water heaters will make an apt choice for you. At Beacon Plumbing, we offer you specialized services for installation of these high quality water heaters, according to your convenience and need. The products we offer to our clients are tested extensively to ensure high quality and unmatched performance, therefore with us you can be assured to get only finest quality products and services. These water heaters work on either electricity or gas and are available in large variety nowadays. Unlike traditional water heaters, which keep on heating water even when you might not require it, tankless water heaters only heat enough water according to your needs. Thus they require less energy and it means lesser costs. To keep your tankless water heater functioning properly, without developing any issue, it is essential to pay attention to its regular care and hire professional water heater repair services. You can trust our expert plumbers at Beacon Plumbing to get timely solutions for all your needs related to water heater repair and installation and other plumbing requirements. Before choosing any particular size or brand of tankless water heater, carefully analyze your needs and then make a decision. With so many companies offering tankless water heaters in varied price range, making the right choice can become difficult. To make it easier, you can hire our proficient experts who will analyze your requirements and then assist you in selecting the most suitable option for your Orting residence, from the endless variety of tankless water heaters. The process of Tankless water heaters installation is different from regular water heather and requires experience and right knowledge. Beacon Plumbing technicians are well versed with installation and repair of all varieties of water heaters and can perform this task with complete precision and efficiency. To add convenience to your life with high quality appliances, give us a call at 425-679-9500 and avail our services. However, this situation can be avoided from arising in your home by hiring proficient Sump pump repair services provided by Beacon Plumbing experts. Experienced and knowledgeable experts are always at your service, to provide you timely solutions for your plumbing problems. From Sump pump repair to detecting other major plumbing issues, we are able to deliver all kinds of services to ensure complete peace of mind of our Snohomish clients. Sump pumps perform the crucial task of keeping your home safe from flooding in case of heavy rains. It removes the ground water and does not let it accumulate under your home. If you do not have it installed in your Snohomish residence yet, then you can hire our efficient sump pump installation services and enhance the value and life of your property. We offer a very well designed and effective system, incorporated with high quality components, which work alongside for keeping your home and basement dry. Sump pump installation is an important task which should be carried out by professionals only, to ensure that it keeps serving your needs for a very long time. We incorporate advanced tools and our experience of more than 14 years to provide you long lasting solutions. Most of the times sump pump failures occur as homeowners are unable to detect the minor problems on time. As the sump pumps lie hidden in the basement, not much attention is paid to their regular maintenance and care. Constant functioning can affect the condition of the sump pump with time, thus leading to complete failure. At Beacon Plumbing we employ proficient and experienced plumbers and technicians who can deliver outstanding services, whether you want to get a new sump pump installed in your Snohomish residence or get it repaired. We are able to offer repair services for all brands and types of sump pumps, including pedestal, submersible and many more. 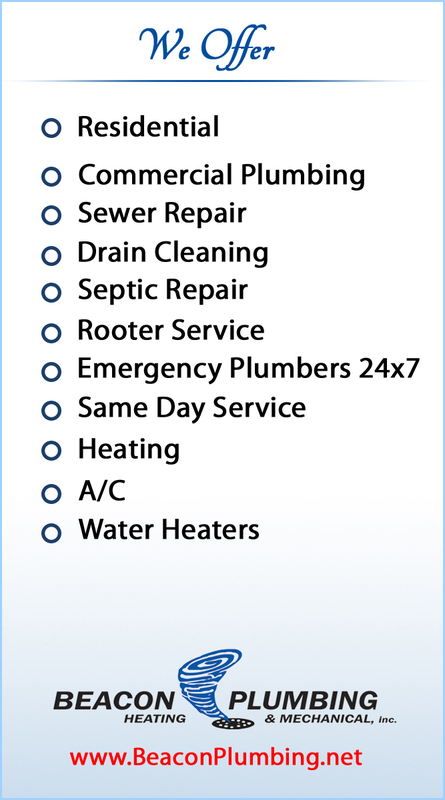 To know more about our plumbing services, feel free to contact us at 425-679-9500. Slab leaks are one of the most common problems that many homes in and around Spanaway might have to face at one time or another. It can occur due to many reasons, including faulty installation, abrasion, corrosion in pipes or foundation shifting and can require you to look for Slab leak repair services to get timely solutions for this problem. Beacon Plumbing has been serving clients with efficient and credible Slab leak repair services since 1999 and has been successful in creating a niche in this highly competitive market. We have become a trusted name among our clients in Spanaway, by providing fast and long lasting solutions for their plumbing problems, no matter how big or small. Why Slab Leak Detection is Important? Sometimes slab leak detection is easy, as you are able to notice one or more obvious signs mentioned above. However, at times it can go unnoticed for a considerable period of time and cause immense damage to the foundation your home. Apart from weakening the structure, slab leaks also decrease the value of your property. If you do not want to invest your time and money on costly repairs and want to save your home from further damage, then do not delay calling the experts at Beacon Plumbing to avail specialized services for Slab leak detection. As soon as you are sure of a slab leak in your Spanaway residence, you should call Beacon Plumbing experts to provide timely and durable leak repair services. Proficient plumbers have thorough knowledge about the complex plumbing system and can make use of advanced tools to find the actual spot and underlying cause of the leakage. Our plumbers first analyze the whole area and the extent of slab leak to determine the most efficient method for leak repair. They are able to give you an estimate before starting the leak repair process to keep you aware of the time and costs involved. To schedule a service or get detailed information about our services, kindly give us a call at 425-679-9500. The plumbing system in a property is one of its most important utilities, if not the most important one. Inconvenient as it might be, people can still live in a building which does not have electricity, but a building which does not have a functioning plumbing system will become uninhabitable rather quickly. One of the key reasons the above information must be kept in mind by Olympia residential and commercial property owners is that a large number of properties in the region are extremely old, which makes their plumbing systems extremely susceptible to failure given the excessive wear and tear these systems have endured over the decades. The decision to re – pipe a property isn’t exactly a difficult one. Older pipes often corrode, resulting in the discoloration of the water, as well as its contamination. Damaged pipes can also result in an impeded water flow and can cause major leaks, which is a whole another can of worms in itself. Not only that, getting the right re – piping services from the re – piping experts at Beacon Plumbing can substantially increase the value of the property significantly. For Olympia’s residential and commercial property owners, getting the re – piping experts from Beacon Plumbing means a great deal for increasing the value of the property in question and the safety of the inhabitants within. The complexity of these non – invasive and non – disruptive operations by Beacon Plumbing’s re – piping experts is not something amateur DIY enthusiasts should try. So give us a call or visit the Beacon Plumbing website to find out how the solution to your re – piping issue is to Stop Freakin… Call Beacon! A blocked up drain is a nightmare many residential and commercial property owners have to face, since they can not only drastically reduce a property’s value but can also cause a myriad of other problems which can quickly escalate to the point wherein the property becomes inhabitable. Over years of use, a drain can become clogged up due to a variety of reasons like sedimentation, oily sludge deposits, physical obstructions by large objects and even trauma to the drain’s structure itself. In a situation like this, Graham residential and commercial property owners face the dilemma of either clearing these drains either with chemicals, which might not work depending on the nature of the blockage, or to clean it manually. Not exactly a pleasant idea, is it? For residential and commercial property owners in Graham there is one option, which also happens to be the expert hydro – jet services brought to them by the hydro – jet experts at Beacon Plumbing. Hydro – jets are a most effective tool for cleaning out and clearing up all shapes and sizes of blocked drains without getting yourself dirty. A high pressure torrent of water is forced through the drain, making sure that the interior walls of the drain are completely rinsed and free of any grime or blockages, clearing out all the accumulated filth almost instantly. The hydro jets used by the professionals at Beacon Plumbing are industrial sized, delivering large volumes of water at pressures rating as high as a couple of thousand pounds of water pressure per square inch. Smaller size units are also available which make sure that both residential and commercial property owners in Graham can stay free of a blocked drain all around the tear. Beacon Plumbing’s experts have put the versatility and functionality of a hydro – jet to great use, using the immense pressures to clear out all types of drains that a residential and commercial property owner might have installed in the property. Another great feature brought to Graham residential and commercial property owners by Beacon Plumbing is the attachment of a video camera to the hydro – jet, allowing residential and commercial property owners to see firsthand the obstruction which is causing their problems. Hydro – jets are not limited by the problems faced by other options like auger cables and the like, capable of clearing out the most intricate plumbing systems easily. Now residential and commercial property owners in Graham can get themselves the benefits of hydro – jets for their property, thanks to the professional and extremely cost effective solutions which they can avail by giving us a call or visiting the Beacon Plumbing website. So the next time a drain gets blocked, Stop Freakin… Call Beacon! A heat pump is an energy efficient alternative that many Fairwood residential and commercial property owners are readily preferring instead of furnaces and air conditioners. The core function of a heat pump unit is to transport heat across the parts of the property which are fitted with the appropriate heating systems. The core functions of an heat pump unit is to transport heat from one area to another, controlling temperatures and thereby making it possible for Fairwood residential and commercial property owners to make the cold areas in their property cooler and the warm areas hotter. Heat pumps also allow a great deal of financial as well as energy savings, since they reduce electricity consumption by almost 30 to 40%. Heat pumps also help a great deal in controlling the overall levels of humidity, which translates to lower energy consumption. However, heat pumps, like all mechanical systems also need adequate maintenance in order to continue performing at an optimal capacity. The heat pump installation and repair experts from Beacon Plumbing make sure your heat pump units are installed or repaired properly and are up and running at full power. A heat pump unit has quickly become a rather important installation which many of Fairwood residential and commercial property owners are installing in their property in order to make sure that the atmosphere within the property is adequately comfortable and healthy for the inhabitants. However, Fairwood residential and commercial property owners need to make sure that their heat pump units are functioning adequately and call the heat pump installation and repair experts from Beacon Plumbing should there be any sign otherwise. A failing heat pump unit can be the source of a great deal of inconvenience to the inhabitants of the property, impacting productivity in a commercial building and reducing the quality of life in a residential property. The repair of a heat pump unit requires the assistance of a team of well trained professionals from Beacon Plumbing which is equipped with the state of the art tools and knowledge to quickly repair the heat pump unit in a short time span. Combining over a decade of experience with the latest know how, the heat pump installation and repair experts from Beacon Plumbing will clarify all doubts faced by Fairwood residential and commercial property owners. These heat pump installation and repair experts use their extensive training and experience to make sure that the installation or repair operation is carried out accurately, making sure the problem does not repeat itself and inconvenience the residential and commercial property owners. The heat pump installation and repair experts from Beacon Plumbing make sure that the heat pump units opted for by Fairwood residential and commercial property owners is performing to the peak of its capacity before they are done with the job. Call us today or visit the Beacon Plumbing website to see how easily residential and commercial property owners can get rid of their heat pump unit problem once they Stop Freakin… Call Beacon! The garbage disposal system installed in a kitchen is the ideal way to chop up unwanted foods and prepare them for imminent disposal. However, something which most Everett residential and commercial property owners don’t realize until a malfunction is that garbage disposals aren’t capable of chopping up everything which is thrown in them. Repetitive misuse and a lack of maintenance can damage a garbage disposal unit to the point of breakdown. The motor which drives the garbage disposal as well as the metal blades which chop up the food must also be maintained and serviced regularly to ensure efficient functioning of the garbage disposal unit. Getting a garbage disposal unit repaired by an amateur is not recommended since all the moving parts and sharp blades involved can cause grievous injuries to the repairperson. The garbage disposal installation and repair experts at Beacon Plumbing have over a decade of experience in bringing the most expert garbage disposal unit repairs to their customers in Everett. When a garbage disposal unit stops working, the food lying within will eventually rot and result in the emanations of extremely unpleasant odors. A blocked up garbage disposal unit will also result in accumulated water backing up in the drain, exacerbating the problem even further. Another problem many of Everett’s residential and commercial property owners also face is the buildup of grease and oils in the garbage disposal unit which then harden, severely limiting the disposal capabilities of the unit, lodging inside till they are physically removed. These clogs also play a significant role in blocking up drains and P-Traps. So Everett residential and commercial property owners need not worry about keeping their garbage disposal units in tip top condition with the garbage disposal installation and repair experts from Beacon Plumbing handling the job. Get the best servicing for your garbage disposal unit by simply giving us a call or visiting the Beacon Plumbing website. So the next time your garbage disposal unit acts up, Stop Freakin… Call Beacon! For residential and business property owners in Buckley, making sure that their property is not only well designed but fully functional as well has always been a priority. However, even with all the major systems like plumbing and electricity in place, one utility system which must be adequately monitored for any repair requirements is the gas pipeline system. Gas leak related emergencies oftentimes occur without warning, with even a small leak posing a more than significant threat to the inhabitants of the property. Ignoring any leak in a gas pipe in the property might result in a major explosion at any time. Given the combustible nature of the gas, even a single spark can set off a chain reaction which could cause extreme losses. The best move for getting a handle on this problem before disaster strikes is to get the expert gas piping installation and repair experts from Beacon Plumbing. Many of Buckley’s home and business property owners have enjoyed the use of gas, employing it in a variety of applications on their property including cook tops and fireplaces. Given the sensitive nature of its contents, residential and business property owners must ensure that the gas piping on their property must be properly designed and installed by gas piping installation and repair experts, well maintained and very secure from any accidents. Neglecting the gas piping in a property can end up not only costing the proprietor a large amount of money, but can also cause the irreparable loss of life. With Beacon Plumbing’s gas piping installation and repair experts on the job, Buckley residential and business property owners can now save themselves from the worries arising regarding the safety and well being of those inhabiting their property by simply giving us a call or visiting the Beacon Plumbing website. So the next time there is a gas piping problem, Stop Freakin… Call Beacon! The bathroom is one of the vital components of the architecture of any building, be it residential or commercial. It also presents Bothell’s residential and business property owners with a unique opportunity to add an innovative style element to their property. However, this style should not come at the cost of inhibiting the functionality of the bathroom. Making sure that the plumbing apparatus installed in the bathroom of a property are fully functional is the responsibility of the proprietor. A breakdown of the apparatus in a bathroom can range from something as small as a minor leak in a faucet or a clogged toilet. 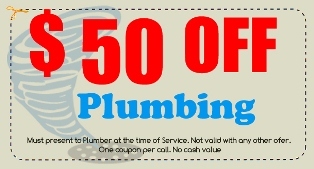 Getting a local contractor in such cases to fix up the problem seems like the best choice to make, however, the expert plumbing technicians at Beacon Plumbing know that in case of modern plumbing systems, delivering a solution that is cost – effective as well as durable is the best way to go. These plumbing technicians deliver the premium bathroom plumbing services at rates which do not require a fortune. We know that since more and more Bothell’s residential and business property owners are opting for architecture designs which merge efficient design with style, the internal systems of the property like its electrical systems and plumbing systems are often designed in a manner which makes accessing them a lot more difficult. Owing to their complexity and inaccessibility, repairing these systems is not exactly a set of operations which can be easily accomplished by those Bothell residential and business property owners employing a DIY work ethic. Armed with the very latest in non – invasive plumbing technology and methods, the plumbing technicians which comprise the expansive roster of Beacon Plumbing have over a decade of experience in handling every type of plumbing operation which can affect a property. Bothell residential and business property owners can just sit back and relax as this team of experts goes to work, focused on getting the job done with the least amount of disruption and destruction. With the experts from Beacon Plumbing on the job, Bothell’s residential and business property owners can now enjoy the service of some of the most highly – trained plumbing technicians who will make sure that once the problem is fixed, it won’t crop up again and again. If you’re facing a plumbing problem, give the experts at Beacon Plumbing a call and we’ll send someone over right away to diagnose the problem and give you a fair and free estimate of the expenses the job will have.